LEGO® SERIOUS PLAY® (LSP) method for facilitating deliberation in multidisciplinary teams of students considering the social, ethical, and environmental implications of nanotechnology. As a wicked problem, nanotechnology warrants thorough examination and deliberation involving multiple stakeholders to ensure responsible innovation and governance. However, many conventional approaches to wicked problems fail to address the difficulty of cross-disciplinary communication in the absence of interactional expertise, and overlook proven creative problem solving methods. Despite nearly five decades of maturation in practices since the term ‘wicked problems’ first appeared in the literature in 1967, a need remains for exploring new approaches. LSP is a content neutral, hands-on facilitation method using boundary objects as a metaphorical vehicle for lowering the barriers to communication, thereby building empathetic perspective taking and increasing the “collision” of ideas to boost the collective creativity. The curriculum effectiveness and student experience was evaluated through pre- and post-surveys as well as summative focus group sessions. Findings show that the LSP method was useful in three respects: 1) it accelerated the socialization process essential for generating and sharing creative ideas by structuring interactions with material boundary objects, 2) it enabled students to externalize their ideas and perspectives in more explicit forms through the use of material metaphors, and 3), it facilitated the internalization of new knowledge. Wicked problems often present vexing challenges in multidisciplinary education (Richter and Paretti, 2009), where leveraging knowledge and values from a diverse group of stakeholders is essential. Prior studies have found that boundary objects (Gorman, 2010) help facilitate knowledge transfer in the absence of shared jargon, communicative norms, or interactional expertise (Collins et al., 2007; Søndergård, 2004). Star and Griesemer (1989, p393) claim “the creation and management of boundary objects is key in developing and maintaining coherence across intersecting social worlds.” The LEGO® SERIOUS PLAY® (LSP) method (James, 2013; Frick et al., 2013) is a well-documented way of structuring metaphorical boundary objects for supporting learning and innovation in multidisciplinary student teams (Schulz et al., 2015). This study explores multidisciplinary, team-based deliberation of a wicked problem using LSP to examine the social, ethical, and environmental implications of nanotechnology in a new course open to students from all majors. The goals of the course were to: 1) offer an engaging active learning experience, 2) promote a deeper understanding of the basic, technical nano-knowledge and of the social, ethical, and environmental issues in particular, and to 3) support the cross-disciplinary communication in terms or ideation, knowledge-sharing, and perspective-taking. This paper contributes the first documented application of LSP for exploring the cross-disciplinary social and ethical implications of nanotechnology. LSP has been used in academia in multiple ways: as a multisensory approach to reflecting on learning (James, 2003), to explore identity and prompt self-reflection (Gauntlett and Holzwarth, 2006), in engineering design classrooms (Bulmer, 2009), in the creative arts (James, 2015), to enhance participatory development communication (Hinthorne and Schneider, 2012), to evaluate an undergraduate unit (Nerantzi et al., 2015), and as a participatory research method to involve children in action research projects (Nunez, 2018). While the method is content-neutral, it is particularly well suited to complex problems that merit examination from multiple perspectives. By lowering barriers to communication, LSP can increase the “collision” of ideas (Johnson, 2010), build empathetic perspective taking, and help facilitate creative problem solving (Mabogunje et al., 2008). An important aspect of the LSP process is the free-thinking, non-judgmental, and playful interactions between participants. The “Hands-on, Minds-on” philosophy of LSP is based on constructionist learning theory (Papert and Harel, 1991). It ensures kinetic, visual, and auditory engagement of participants and helps them explore issues as metaphors in their building process (Burgi et al., 2005; Heracleous and Jacobs, 2011). Metaphors can aid the understanding of complex and intangible topics (Lakoff and Johnson, 2003), making LSP a good candidate for learning about wicked problems, including nanotechnology (Seager et al., 2012; Karinen and Guston, 2010, Brown et al., 2010). Playful activities help students improve communication and creativity through a liberated, unfiltered, and less self-preserving expression (e.g., Gauntlett, 2007; Mainemelis and Ronson, 2006). Students at play can learn better, form stronger social bonds, and make more imaginative leaps, because a mind at play is open to new possibilities, willing to explore in ways that more serious-minded states often impede, and allows novel ideas to emerge and be shared (e.g., Johnson, 2016; Brown, 2009, Roos, 2006). We explored LSP’s potential to serve as a structured, creative approach to facilitate cross-disciplinary dialogue and deliberation about nanotechnology in a new one-credit course called Nano Ethics At Play (NEAP) in Spring 2015. Undergraduate students in multi-disciplinary teams were challenged to learn about, reflect upon, and deliberate about the social, ethical, and environmental implications of nanotechnology. In preparation, we had conducted four rounds of pilot workshops in 2014, refining the curriculum design, exploring different course contents, guest lecturers, assessment methods, and workshop locations. R2: What empirical recommendations can be derived from the NEAP class to guide others looking to apply LSP in higher education and beyond? Both the process of multidisciplinary deliberation, in which there is no single best answer, and the topic of nanotechnology were new to most of the class participants. Consequently, our concerns included ensuring active engagement and contrasting diverse perspectives in multidisciplinary deliberation. The difficulties and novelty associated with the course required attention to several factors, including: motivation, recruitment of students, the structure of the new material presentations, and methods of data collection. Motivation is a critical driver of student engagement (Graham et al., 2013). One way it can manifest is as persistence, which is key to acquiring new knowledge and mastering new skills (Dweck, 2008). The concept of persistence originates in social cognitive psychology and focuses on student agency (Bandura, 1989). An important construct underlying motivation is the powerful influence of confidence (i.e., self-efficacy), which is a requirement for persistence (Dweck, 1986). Thus, it is imperative to address confidence, motivation, and persistence when assessing active learning activities. All of these concepts relate to the theory of flow (Csikszentmihalyi, 2000), which has been described as the zone of optimal experience and refers to a balance between the perceived difficulty level of an activity and the perceived skill level of the participant. Recent research has confirmed LSP activities to have a positive effect on the flow experience (Primus and Sonnenburg, 2018), which is important as it can be a precursor to high levels of creativity and innovation (Csikszentmihalyi, 2000). To understand the effect of LSP on motivation and confidence, we relied on student self-reports, while persistence and creativity were assessed though observations of how students deal with challenging activities (e.g., shared model builds) and the quality of outcomes. We also employed pre- and post- course surveys and summative focus groups. Recruitment took place through a number of channels, including: presentations in existing classes, announcements to available list-servs, and word of mouth. Over 60 students applied to the 1-credit hour class via the course website, which contained a course description, information about the LSP method, a blog with student experiences from the pilot sessions. From these applicants, 19 class participants were selected to ensure a diversified class population. Representatives from engineering/applied sciences, sustainability, communications, the social sciences, and business were assigned to student teams of four or five that included both men and women. Structure. The Nano Ethics at Play (NEAP) workshop series was conducted over four sessions and primarily led by two graduate students certified in the LSP method. Two faculty guest speakers provided technical subject matter expertise during the course. The first session, focused on LEGO® SERIOUS PLAY® skill-building (I in table 1 below), was designed to build individual understanding, skills, and capacity for group deliberation. This component was important for the initial socialization, which build communicative capacity and trust among classmates. Another element that is essential to consider when engaging in deliberations is where the perspectives articulated by both yourself and other group members come from. Session I also served to strengthen the students’ capacity for self-reflection and perspective-taking, helping them understand who they are (in relation to other team members and in the bigger picture, for example in relation to technologies, the environment, other stakeholders (3rd world worker, governing entities, and industry). Introduction to the LSP method, ground rules, and language, including: Tower exercise, fantasy creature and modify to represent a good collaborator, build a model of yourself and use it to introduce yourself to your team. Pre-surveys and pre-model “my current perception of nanotechnology”. Introduction to the nano-scale, “What is nano?”, applications, implications, in-depth example: nano-silver (lecture by Dr. Thomas P Seager), LSP builds about applications and implications of nanotechnology. Singularity video (Wohlens, 2013), Nano Around the World game (Nanoscale Informal Science Education Network, n.d.), LSP builds tying it all together, integrating into shared team model, distilling recommendations for the office of Science and Technology, gallery walk to learn from other teams. Example of nanotechnology’s role in a specific transdisciplinary field (guest lecturer by Dr. Zachary Holman), LSP build “how does nanotechnology relate to my field?”, Post-surveys, Post-LSP model “my current perception of nanotechnology”, Focus groups. The other three sessions (see II, III, and IV in table 1 above) had a technical focus on nano-related applications and implications. During these sessions, the students were first introduced to new topic matter knowledge either through a guest lecture, or game activity, or video. Next, they were guided through material deliberation challenges using the LSP method to build and storytell their individual insights and perspectives. In some sessions, the teams were tasked to integrate aspects of their individual models into shared team models and convey the outcome of their deliberations—e.g., the recommendations for governance of nano-related technologies that account for social, ethical, and environmental considerations. At the beginning of the first workshop participants filled out a pre-survey, which was both formative and summative. It was formative in the sense that it served to clarify student expectations for the class, how they had come to know of it, and what attracted them to it. It was summative in the sense that it provided a baseline for their pre-existing knowledge about nanotechnology, familiarity with LEGO, and their confidence in their ability to work and communicate across disciplines. At the end of the last class participants filled out the post survey to rate their gains from the class in terms of nanotechnology knowledge, the LSP method, and confidence in their ability to communicate across disciplines. They were also asked to provide qualitative answers, such as explaining how nanotechnology relates to their discipline. Finally, the post survey gave participants the opportunity to offer input on how to improve the class. After the final class, three parallel focus groups solicited qualitative student feedback on the class experience. For these sessions, students were mixed across the teams that they have been in for the class, allowing them to speak candidly about their team dynamics. Each focus group lasted for ~30 minutes and was guided by a list of questions prepared by the class facilitators and aided by an external evaluator. Using transcriptions generated from the audio recordings, researchers conducted qualitative thematic data analysis (Braun and Clark, 2006). High-level codes were developed based on the question framework and child codes were developed inductively to explore participant perspectives. To gain insights about how the students interacted within the teams, with the LSP method, and their reactions to the curriculum in general, we stationed ethnographic observers trained in qualitative research methods. Facilitators, faculty, and the observers documented how the LSP method influenced interactions. The facilitators summarized what they noticed after each class, whereas the ethnographic observers had been provided an observation guide and took notes while the session was in progress. An external evaluator observed and assessed one of the classes. While this paper focuses on the effect of applying the LEGO® SERIOUS PLAY intervention, a full account of the survey and focus group results can be found in the course evaluation report (University Office of Evaluation and Educational Effectiveness, 2015). This report accounts in more detail for aspects such as course discovery, course attraction, prior familiarity with nanotechnology, alignment between expectations and gains, technical topic matter knowledge acquired, as well as suggestions for course improvements. Confidence. One of the most significant results in the pre and post-survey was the increase in students’ confidence in their ability to deliberate about complex issues (wicked problems). More specifically students reported an increase in their confidence in their ability to “form new ways of thinking about complex issues” (see Figure 2) and an increase in their confidence in their ability to “work collaboratively to explore complex issues” (see Figure 3). 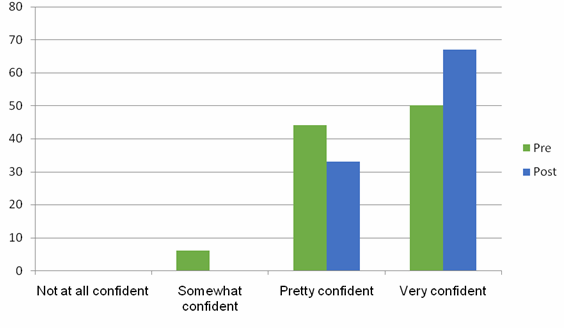 Figure 3: Students indicated an increased confidence in their ability to “work collaboratively to explore complex issues”. The confidence ratings above are consistent with students ranking “opportunities to collaborate with students outside my major” and “increased openness to consider different perspectives” among their most significant gains from the class. Responses to the post survey indicated that what 47% of students liked most about the class was learning about other perspectives and working with individuals outside their majors. One student indicated that they liked, “[b]eing able to listen to other ideas and compare them to [my own].” Another noted, “I loved being able to work closely with people from other disciplines.” A third responded that they liked that “it was completely out of my field and let me peek into the world of engineering.” This indicates that the LSP intervention helped break down barriers to cross-disciplinary collaboration and communication. This may be attributed to the method’s structured turn-taking process of sharing views and insights scaffolded by metaphor-rich boundary objects, which seemed to incite curiosity about perspectives from other disciplines. Students built and shared quite personal content. As a result, students reported feeling like they knew people in this 5-week class better than classmates they had spent a full semester with—something they attributed to the LSP activities. In describing the communication within their teams, several students in the focus groups noted that team members took turns speaking, and that those who were more comfortable speaking up made an effort to bring out the ideas of some of the less outspoken individuals by asking questions about their LSP models. In this way, participants showed leadership and sought to promote a team approach within their groups. Furthermore, ethnographic observers noted that teammates often helped each other find the LEGO pieces needed for their individual models. Gathered around a table, team members took turns describing their individual models and then had to create a shared model, which integrated the essential perspectives from all team members. The teams then presented to all of the other teams. Each team told a story that characterized both the social and ethical implications of the nanotechnology and used their co-constructed boundary object (shared LSP model) as a symbolic representation of the story that encompassed the diversity of perspectives. The post-course survey invited participants to provide an example that illustrates the communication within their teams. About 29% of the responses emphasized the externalization process of both creating a model and then collaborating with team members to create a shared model. One student explained, “Our varying disciplines and personal interests combined in creating group models, conveying a broad consensus on the implications of nanotech[nology].” Several students noted that the LEGO model helped them to convey their ideas, as one student articulated, “I was able to show visuals of what I was thinking and express more of my ideas through the symbolism of my Legos”. When asked in the focus groups and post–course survey what LSP does for communication, one respondent noted that “[LSP] was an awesome and effective concept.” Another added, “The communication via building is very expressive!” A third explained “I think that was successful because you’re physically putting your ideas on the table.” The metaphor-rich, physical model on the table acts as a memory aid for the storyteller to recall what points to convey. The storyteller can also actively use the model as a tangible, dynamic demo prop, which makes for more multi-sensory communication. This is consistent with findings from a recent study using LSP as part of a Design Thinking approach: that “generating ideas and concepts, increasing empathy and working collaboratively are seen as strength of the approach” (Panke and Harth, 2018, p. 293). LSP may also have improved listening— which could be observed as head nodding, saying “mm-hmm”, and posing clarifying, open-ended questions. Also, acknowledging statements like “that’s really interesting what Matt is saying. I never thought about it like that before” (said by a Civil Engineering major about insights from a Psychology major), indicated that the perspectives from teammates of other majors were being internalized. The combination of the physical models and the accompanying stories rich in metaphors resulted in strong retention. For example, 2-3 hours after the LSP introduction exercise in the first workshop students were able to recall almost verbatim details that other students had shared, just by looking at their model again. Students reported being able to communicate effectively within the team and assessed that their team members also communicated effectively. While many students suggested that the collaborative builds were challenging, they inspired extemporaneous stories and creativity to accomplish the integration of multiple perspectives. The interactions also appeared to prompt self-reflection, which led to improved communication. When asked to rate how effectively their team members communicated their ideas, 61% of students indicated “completely” on a 5-point scale from “Not at all” to “Completely.” When asked to provide an example that illustrated their rating, 16 students responded and the majority of them noted the process of having to build, explain their ideas, and listen to the ideas of the other team members. One student clarified, “They often explained abstract ideas intelligently that they had encapsulated in a model.” Another student described the LEGO builds as an effective method to “center our opinions and conversations.” Students agreed that the LSP activities contributed to their ability to effectively communicate. All students either “agreed” or “strongly agreed” that the LSP activities increased understanding of their personal learning style, increased their ability to explain their ideas, and made it easier to understand the ideas of team members (see Table 2 below). Eighty-three percent of students “agreed” or “strongly agreed” that it made them lose track of time, which is an indicator of being in flow (Csikszentmihalyi, 2000). This finding is consistent with recent studies on the link between LSP and flow (Primus and Sonnenburg, 2018). 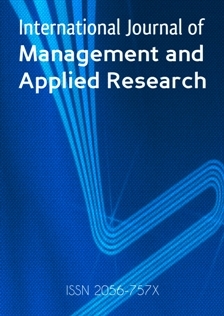 It appears that for the majority of students, the LSP activities promoted communication and collaboration among team members, even though 71% “agreed” or “strongly agreed” that it “provided a challenging medium of expression.” However, all participants “disagreed” or “strongly disagreed” with the statement that LSP “required too much effort.” About 22% of students indicated that it made them “feel anxious.” The anxiety was clarified in the focus groups as primarily pertaining to the amount of time for the LSP building assignments. One student expressed that they “felt rushed and pressured at times.” From the focus group, there was a greater delineation between the two sides of this debate. To several students, the short time limits were constraining and they felt unable to fully convey their ideas. On the other side, some students felt the time constraints increased improvisation of the build and subsequent presentations. One student in particular said, “It made you think on your feet a lot more because [the builds] were timed.” The latter is exactly the intention behind the time constraint imposed in the LSP method. 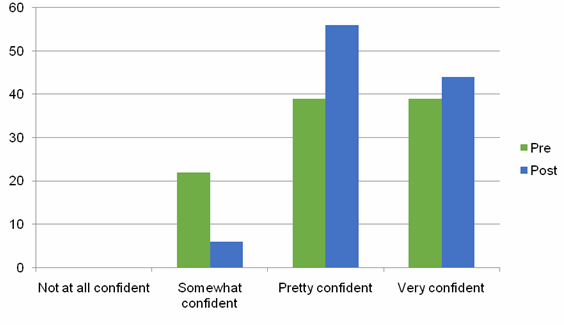 Participants reported that they valued the perspectives of team members, felt actively engaged in the course, and that the course exceeded expectations (see Table 3 below). Most students (83%) “agreed” or “strongly agreed” that the course forced them to step outside of their comfort zone. Our findings indicate that the constructionist activities with boundary objects and storytelling with metaphors in LSP were useful vehicles for the students to engage in cross-disciplinary discussions about the complex issues associated with nanotechnology. As with prior studies in game-based approaches to complex issues of communication (e.g., Hannah et al., 2013), the scaffolded communication with physical boundary objects and metaphors helped bridge gaps in knowledge, epistemology, and vocabulary. The role of LSP in advancing these three processes, known to be essential to creativity and knowledge sharing in organizations, validates the use of SERIOUS PLAY methods with physical boundary objects as a valuable approach for facilitating dialogue and deliberation about wicked problems. The NEAP curriculum as a whole did expand students’ topic matter knowledge of nanotechnology to be free of major misconceptions. Also, students were able to articulate their concerns and engage in deliberations about the complex, social and environmental implications of existing nanotechnology, as well as nano-scenarios the students imagined may occur. The curriculum piqued their interest in learning more about nanotechnology and they also suggested that the LSP method be used in more class to create a deeper understanding of complex problems. Students showed engagement and persisted when presented with difficult challenges—such as integrating all the perspectives present in the team into a shared model. Students in this class indicated a high appreciation for the viewpoints and knowledge from other majors. They also expressed an increased confidence in their ability to form new ways in thinking about complex issues and in their ability to work collaboratively to explore these issues. The fact that participants were undergraduate students and therefore less rooted in their home discipline may have influenced the results and findings in the following ways: 1) More openness toward the perspectives of other disciplines—as they may not yet be fully immerged in their own disciplinary jargon, epistemology, and culture, or on the contrary 2) More closed-mindedness toward the perspectives of other disciplines—which can come with a newfound identity which has not yet been fully formed or subjected to critical reflection, 3) Lack of deep disciplinary expertise and the self-knowledge necessary for taking a stance and arguing for it in substantive, heated deliberations. Based on the collected data it is not possible to say whether any of these conditions were present. For future studies it would be worth exploring how the LSP method works for teams with high levels of expertise and experience as well as for teams with mixed levels of expertise and experience. Nonetheless, when dealing with wicked problems, no expert will ever have complete knowledge. 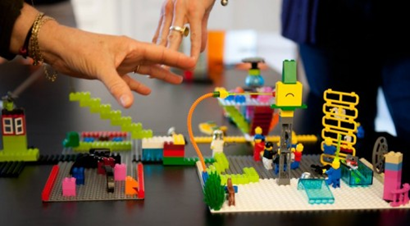 Get trained as a certified LEGO® SERIOUS PLAY® facilitator. While LSP is open-source, certified facilitators will improve the reliability of data, ground the method in supporting theory, answer questions, and offer participants a well-designed, well-facilitated workshop. Practice, practice, practice! Do prototype workshops before offering a class or a high-stake workshop. Under pressure we perform at the level of our training, not at the level of our hopes. Running a successful LSP workshop requires a facilitator who is fully present and in tune with the state of the participants. Thus, the steps and contents of the activities should be rehearsed so that they are second nature. Acknowledge that teaching, research, and facilitating are different. Data collection for research can detract from the experience and unobtrusive observation requires expertise. We recommend seminars or books such as Bowman’s (2008) Training from the back of the room! Plan and then improvise. Make a thorough plan outlining the time, purpose, and outcome of each activity and be willing to improvise from it. Use it as a guideline rather than a one-right-way to run the session. A new, rich direction may emerge during the course of the workshop that is more meaningful to explore than what you had envisioned. Be a reflective facilitator. Part of growing as a facilitator is to assess what went well and what could have been different at the end of each session. Divide into groups of 4-6 students. With too many participants in each group the storytelling step will take up a disproportional amount of your class time – and listening to too many stories will challenge participants’ patience, potentially leading them to disengage from the process. Give each group their own table so they have space to build and can hear one another. Engage co-facilitators. It is difficult for any facilitator to keep track of the activities at multiple tables. Have an LSP facilitator at each table to serve as your extension—clarifying prompts and signaling to you when their team is ready to move on. Table hosts can also ensure that the deliberations keep going until all tables are complete in their discussions. Consider acoustics. Lego bricks make noise when they're shuffled. It's part of the appeal, but in a large room it can interfere with discussion. Seek out a venue with good acoustics and use tablecloths to dampen noise whenever facilitating more than one table at a time. Go on gallery walks. To share insights uncovered in the groups, e.g. through shared model building, with the whole class, invite participants to visit one table at a time and hear the host-group convey the story of their shared model, as if they were art lovers going for a walk through a gallery. Prioritize skill-building. Participants must build skills to become fluent in self-expression through models and metaphors – especially on complex topics. Build in time for reflections. To complete the learning cycle, allow time for a debrief activity at the end of each session. When you end your workshop with a debrief exercise participants take mental inventory of the experience. Have a public debrief protocol. One way to prompt reflection is to ask participants to write out what “squared” with them, three things that stood out to them like points of a triangle, and something that is still “circling” form them. Have students read out their triangle, square and circle one by one as a way to end class. We did this on square, triangular, and round post-it notes at the end of each class. Connect back to the familiar. In consecutive workshops, the written reflections serve to provide continuity—e.g. by starting a class out by clarifying what participants reported had been circling at the end of the previous class. Be strategic about your material selection. Not just any old Lego will do. There are multiple set of Lego kits developed for LEGO® SERIOUS PLAY® and curated with pieces that are great for building metaphor rich models. Consult with a master trainer about what Lego to get for your specific purposes. Practice inclusivity. Students can feel disadvantaged in a LSP workshop due to a physical handicap or no prior experience building with Lego. It is important to emphasize that LSP is about the storytelling. The Lego models are a means not a goal. As a facilitator you can also level the playing field by modifying the building prompt—e.g. telling everyone to build with their eyes closed or with a partner, each using only one hand. Build a sense of belonging. In the first class, build prompts related to presentation of identity led to an increased sense of cohesion among participants that may have resulted in the excellent retention of students for the duration of the program (UOEEE, 2015). The authors want to acknowledge helpful contributions that have been instrumental in the preparation of this paper. Dr. Mark Hannah reviewed the paper and provided generous suggestions for edits and framing that improved the paper substantially. Dr. Cynthia Selin reviewed drafts of the paper and offered useful feedback. The students who participated in the NEAP workshops and the formative pilot workshops were instrumental to this study. Several others assisted in the delivery and documentatinos of the course, including: Kaitlin Vortherms, Margaret Hinrichs, Marcus Snell, Payson Seager, Emma Seager, Ben Wender, Zach Holman, Candace Chan, Peter Crozier, Ryan Kofron, Liz Adams, Abhishek Edla Ashok, Kevinn Tran, Brittany Herold, Lauren McBurnett, and Jenna Stevens. This material is based upon work supported by the National Science Foundation under Grant No. #1343772, not by the LEGO® Group. Any opinions, findings, and conclusions or recommendations expressed in this material are those of the author(s) and do not necessarily reflect the views of the National Science Foundation. LEGO, SERIOUS PLAY, the Minifigure and the Brick and Knob configurations are trademarks of the LEGO Group, which does not sponsor, authorize or endorse this academic work by Camilla Nørgaard Jensen, Thomas Payson Seager, Alison Cook-Davis, Arizona State University, United States of America. This paper is dedicated to the first author’s beloved granddad, Per Eriksen Petersen, who fought bravely to regain his health after sudden illness, but passed away during the writing process. Brown, S. L. (2009), Play: How it shapes the brain, opens the imagination, and invigorates the soul, USA: Penguin Putnam. Brown, V. A., Harris, J. A., and Russell, J. Y. (2010), Tackling wicked problems through the transdisciplinary imagination, UK: Earthscan. Bowman, S. (2008), Training From the Back of the Room! : 65 Ways to Step Aside and Let Them Learn, USA: Pfeiffer. Bulmer, L. (2009), “The Use Of LEGO® SERIOUS PLAY In The Engineering Design Classroom”, Proceedings of the Canadian Engineering Education Association, Hamilton, Ontario: McMaster University, July 27-29, 2009, [Online] Available from: https://ojs.library.queensu.ca/index.php/PCEEA/article/download/3699/3693 [Accessed on 1 Nov 2018]. Csikszentmihalyi, M. (2000), Beyond boredom and anxiety, San Francisco: Jossey-Bass. Dweck, C. S. (2008), Mindset: The new psychology of success, USA: Penguin Random House Inc.
Frick, E., Tardini, S. and Cantoni, L., (2013), White paper on LEGO® SERIOUS PLAY®: A state of the art of its applications in Europe, Lugano: Università della Svizzera Italiana [Online] Available from:http://www.s-play.eu/attachments/article/70/splay_White_Paper_V2_0_1.pdf [Accessed on 18 July 2018]. Gorman, M. E. (2010), Trading zones and interactional expertise: Creating new kinds of collaboration, USA: MIT Press. Hannah, M. A., Berardy, A., Spierre, S. G., and Seager, T. P. (2013), “Beyond the I; Framing a model of participatory ethical decision-making for international engineering communication”, Connexions: International Professional Communication Journal, Vol. 1, No. 2, pp. 11-41. Heracleous, L. and Jacobs, C. D. (2011), Crafting strategy: embodied metaphors in practice, UK: Cambridge University Press. Jensen, C. N. (2017), SERIOUS PLAY Approaches for Creating, Sharing, and Mobilizing Tacit Knowledge in Cross-disciplinary Settings, Doctoral dissertation, USA: Arizona State University [Online] Available from: http://hdl.handle.net/2286/R.A.186638 [Accessed on 1 Nov 2018]. Johnson, S. (2010), Where good ideas come from: The natural history of innovation, London: Penguin Books. Johnson, S. (2016), Wonderland: How Play Made The Modern World, New York: Riverhead Books. Lakoff G. and Johnson M. (2003), Metaphors We Live By, Chicago: University of Chicago Press. Mabogunje, A., Hansen, P. K., Eris, O., and Leifer, L. (2008), “Product Design and Intentional Emergence facilitated by SERIOUS PLAY”, In: DS 50: Proceedings of Nord Design 2008 Conference, 21-23 Aug 2008, Tallinn, Estonia: Tallinn University of Technology, pp. 9-18 [Online] Available from: https://www.designsociety.org/publication/27350/Product+Design+and+Intentional+Emergencefacilitated+by+Serious+Play [Accessed on 1 Nov 2018]. Nanoscale Informal Science Education Network (n.d.), Nano Around the World card game [Online] Available from: http://www.nisenet.org/catalog/nano-around-world-card-game [Accessed on 26 November 2018]. Panke, S., and Harth, T. (2018), “Design Thinking for Inclusive Community Design:(How) Does it Work?”, In: T. Bastiaens, J. Van Braak, M. Brown, L. Cantoni, M. Castro, R. Christensen, G. Davidson-Shivers, K. DePryck, M. Ebner, M. Fominykh, C. Fulford, S. Hatzipanagos, G. Knezek, K. Kreijns, G. Marks, E. Sointu, E. Korsgaard Sorensen, J. Viteli, J. Voogt, P. Weber, E. Weippl & O. Zawacki-Richter (Eds. ), Proceedings of EdMedia: World Conference on Educational Media and Technology, Amsterdam, Netherlands: Association for the Advancement of Computing in Education (AACE), pp. 284-296. Selin, C. L. (2014), “Mediated Scenarios: The Infusion of Art and Design in Scenario Practices”, In: 5th International Conference on Future-Oriented Technology Analysis, Brussels, Belgium, 27 - 28 Nov 2014, [Online] Available from: http://orbit.dtu.dk/files/112337032/Selin_Brussels_112114.pdf [Accessed on 5 April 2018]. Selin C. and Boradkar, P. (2010), “Prototyping Nanotechnology: A transdisciplinary approach to responsible innovation”, Journal of Nano Education, Vol. 2, No. 1-2, pp. 1-12. Søndergård, B., Hansen, O., Jesper, H., Kerndrup, S. (2004), Creation and sharing of environmental knowledge across communities and networks: Working Paper 10, Technology Society and Environment, Department of Development and Planning, Denmark: Aalborg University. [Online] Available from: http://vbn.aau.dk/ws/files/16063017/workingpaper10.pdf [Accessed on 5 April 2018]. The LEGO Group (2010), Open-source: Introduction to LEGO® SERIOUS PLAY®, [Online] Available from: http://seriousplaypro.com/about/open-source/ [Accessed on 27 November 2018]. University Office of Evaluation and Educational Effectiveness (UOEEE) (2015), Cross-Disciplinary Education In Social and Ethical Aspects Of Nanotechnology: Evaluation Report 2014-2015, USA: Arizone State University [Online] Available from: https://awsum.box.com/v/UOEEEevaluationreport [Accessed on 5 December 2018]. Wohlens, D. (2013), The Singularity [Online] Available from: http://thesingularityfilm.com [Accessed on 27 November 2018].